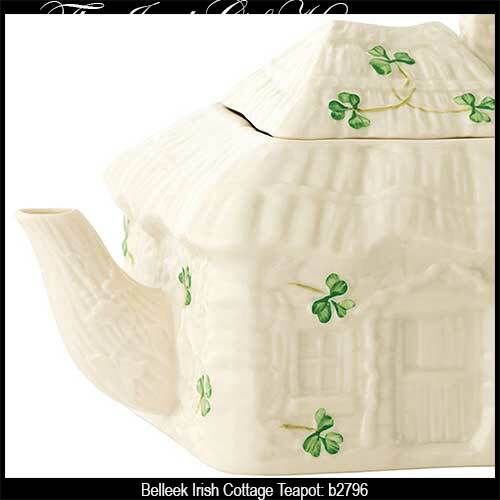 Belleek teapots are the ultimate in fine tea service. 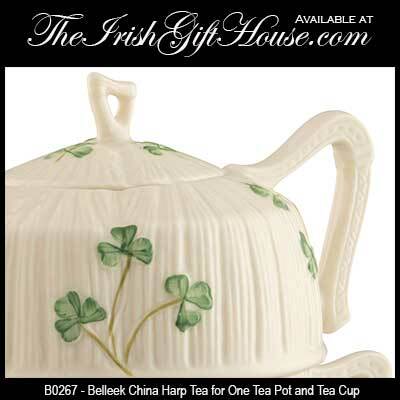 These Irish china teapots feature shamrocks along with archival designs. 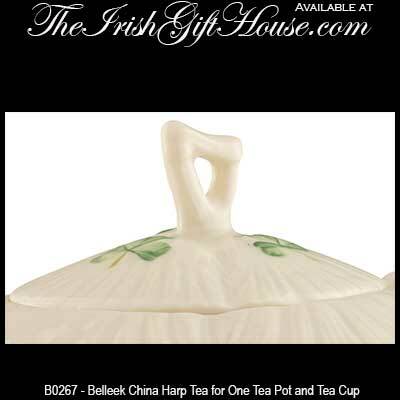 It is true that Belleek China is some of the most translucent china in the world, but it is meant for everyday use and enjoyment. Don't hide away your Belleek teapot; after all they, along with the dinnerware, are used daily in the cafeteria at the Belleek Pottery Visitor Center. 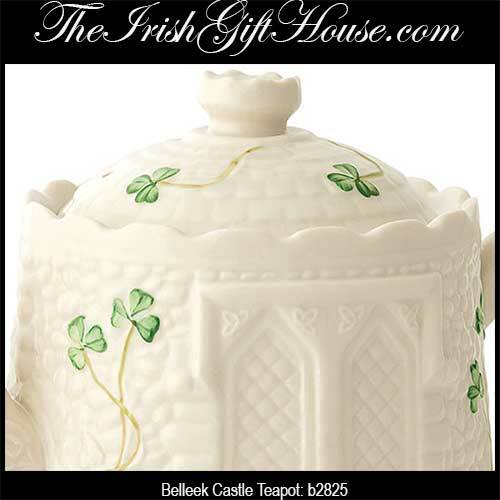 The Irish Gift House offers a multitude of Belleek teapots that include archival pieces to the traditional shamrock designs. 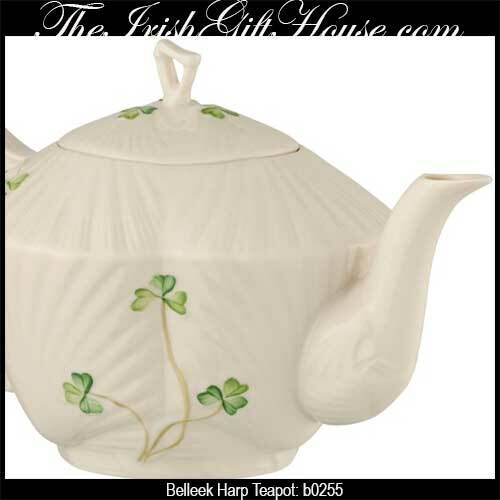 This Belleek teapot features the harp motif that is enhanced with hand painted shamrocks on fine china. 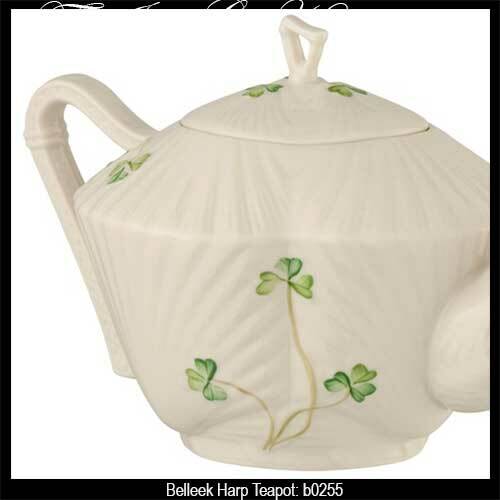 This Belleek teapot for one features the harp motif that is enhanced with hand painted shamrocks on fine china. 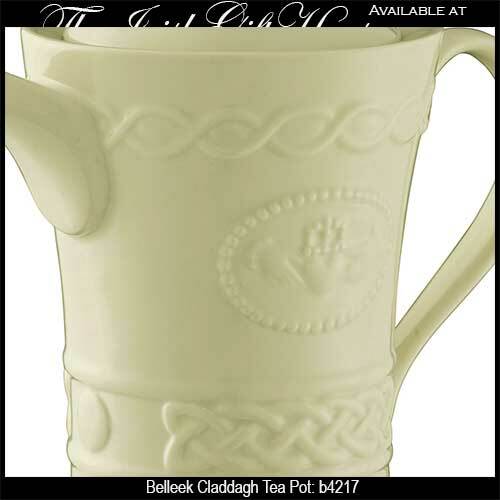 The perfect pairing for your teapot selection would be the Belleek mugs that are offered with complementing embossed designs and naturally with hand painted green shamrocks. 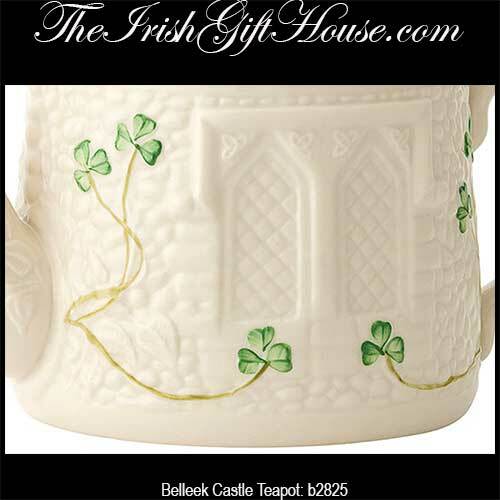 You will also find the matching tea cups located on the Belleek dinnerware page; your guests will be impressed when they are served on fine china from Ireland! You could even add a Belleek bowl or a serving pitcher to round off your ensemble. Serve your tea in a dining room or parlor that is illuminated with a Belleek lamp and you will really be in style. The Irish Gift House has additional choices in lighting that we offer on our Irish lamps page; here you will find a selection with Tiffany style glass shades that are augmented with Celtic or Irish designs. 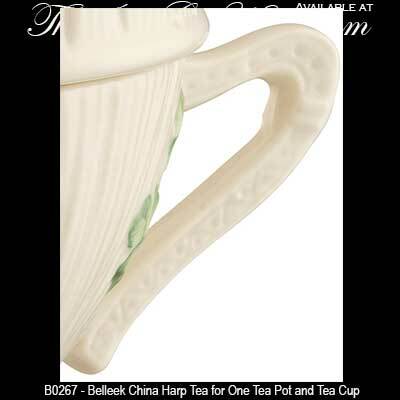 You may also wish to visit our Irish dinnerware page to find additional selections for your high tea.